Are you wanting to raise your family on scriptures, but not sure where to really start? 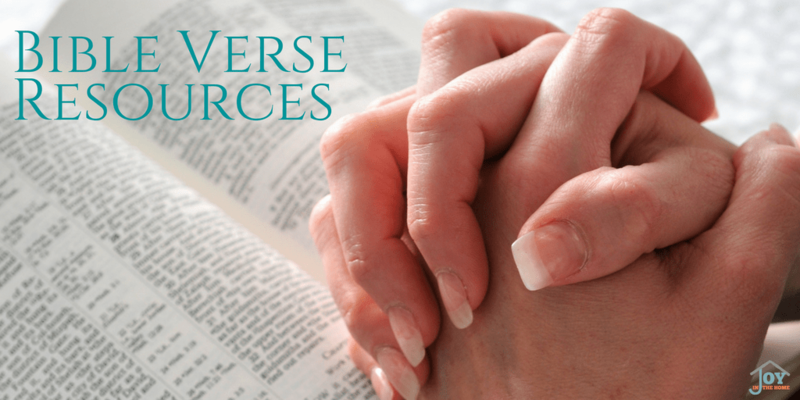 I would love to share with you some great Bible verse resources that you can easily add to your daily routines that your children (and you) can easily memorize and learn from even in a busy lifestyle. In my own walk of faith and parenting, I have found that the more I have used scripture in just conversations with my children the easier it was for us to memorize and allow scripture to take root in our lives. However, unless you know the verses already this may be hard to implement right away. My heart is to help you identify the key verses that have been most instrumental in our home and help you make a difference quickly. Children as young as one and two-years-old can learn to memorize scriptures. I have accomplished this by using key scriptures that pertain to things that this age group deals with daily. As they struggled in one area, I would just recite that portion of the verse they needed to hear right then, not necessarily focusing on the reference, just the words of the verse. I share how to do this in my book, The Blueprint Approach. One of those verses is “Children, obey your parents in the Lord”. There are some other verses that I would use at this age to help them build a relationship with God, and help them really concentrate on building good character because of this parenting way. Having these verses as tools in our parenting has helped us navigate the challenges that toddlers and preschoolers bring into a day. 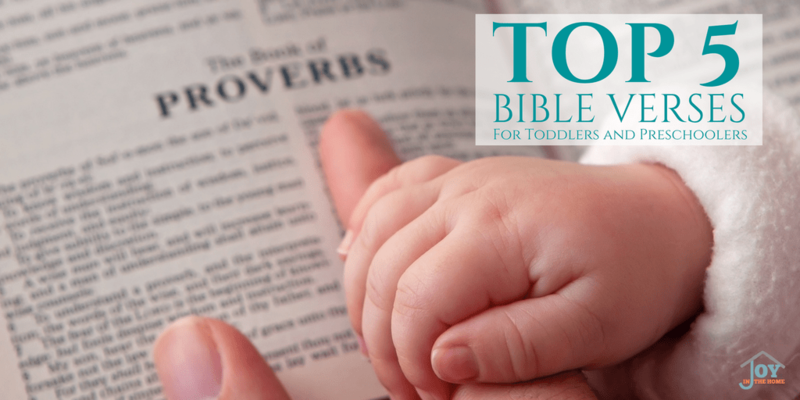 Learn about the other verses perfect for toddlers and preschoolers! As you are adding the Bible verses to your day, you will want to put more of a focus on Bible with your younger children. If you haven't ever done this before you may benefit from my tips for implementing Bible memorization. As your children grow, so should your supply of Bible verses to present to them as often as you can. We continue with adding scriptures to our parenting that will help our children understand what they are dealing with in their life, and why we believe what we believe. One of my favorite verses for our family is “As for me and my house, we will serve the Lord.” I have several other ones that I share in my top 10 verses for a family to memorize. When our children are reaching their teen years, we like to point out what the Bible says about ‘gifts’, and draw their attention to the God-given gifts within them. We have also used these printable Bible verse cards at Christmas time, to put the focus on spiritual gifts more. We have our children work on Bible verse memorization early, and we do that with scripture cards. 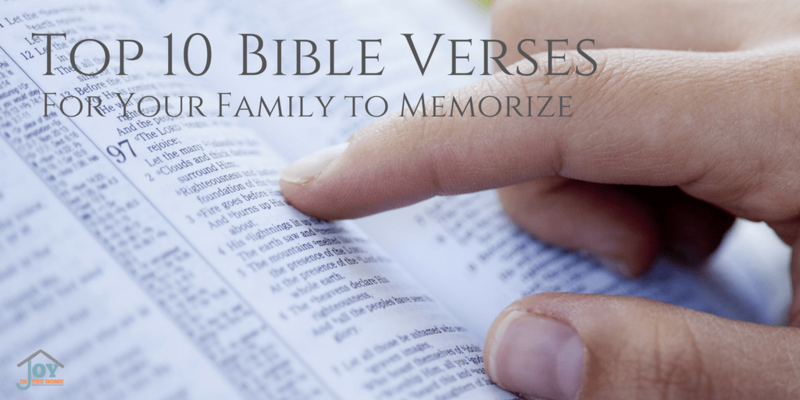 I have put 32 of our most used verses in one resource for other families to quickly and easily learn how to implement these into their own home. As our children move into high school, we focus on teaching the Bible differently then we have in all of the earlier years, and we do it with the Charlotte Mason way as our guide. Our desire is to have our children own their faith, and never feel that our faith was focused on them. With two adult children who openly share their faith with others, we believe these changes at this time in their lives has been instrumental in these results. 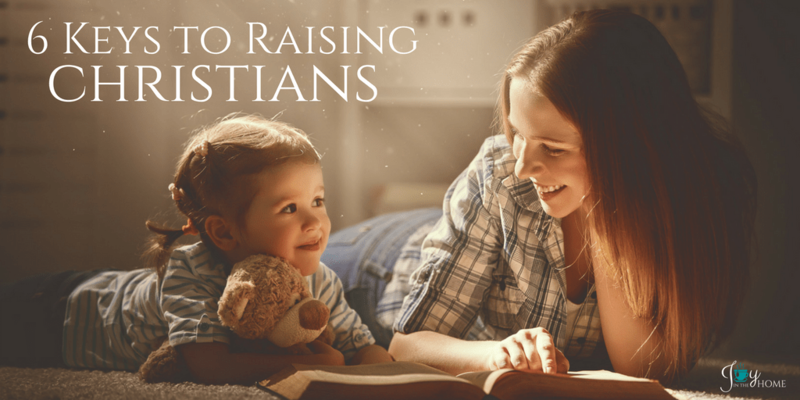 I share a lot about how we have raised Christians from their babies years and beyond while highlighting the keys that I feel were instrumental in growing a true faith in our children that they called their own as adults. Staying strong in ones faith is always a hard job, but with the right tools in place, it makes it easier to accomplish. 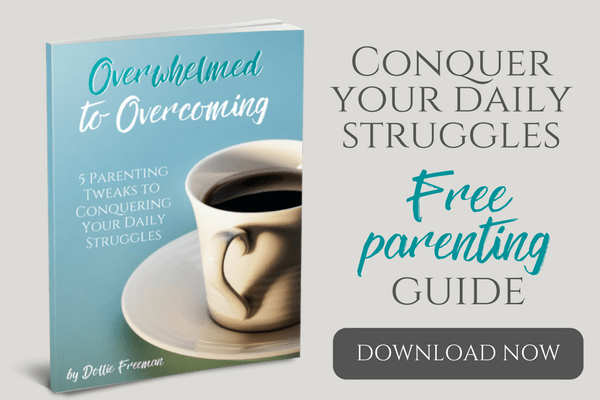 In my nearly 24 years of parenting, I have had to learn how to overcome a lot of struggles in my parenting. I often felt like I was the source of my parenting problems, as I wasn't equipped for the challenges I was facing daily. Realizing my character flaws, I was thankful that the Bible was a source that helped me identify and find solutions to the failures I was bringing into my home. 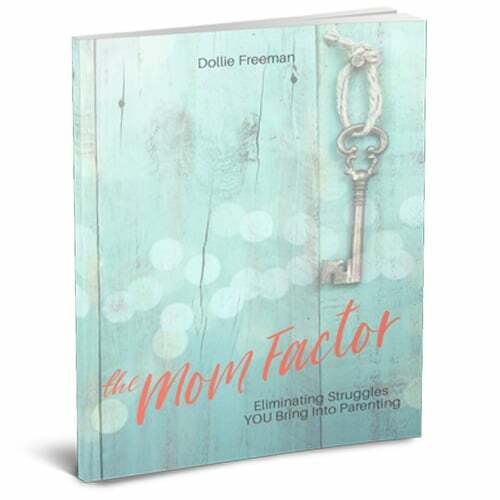 If you feel like you struggle more because of your own character flaws, I invite you to check out my book, The Mom Factor. When I found out that my dad had lung cancer, I felt that fear that is ever present during this eye-opening diagnosis. I’m a positive person by nature, but when it comes to my family, fear can really get my negative thinking working. I knew I needed scripture to keep me positive and relying on God through his treatment and healing. It was during this time that I wrote 31 Bible Verses for Families Affected by Cancer. I wrote that post for myself, and my family to have scripture every day of the month to build our faith and keep our eyes on our Healer. This post has been one of my top posts since writing it, and as I see the number of people reading it, my heart says a prayer as they know too well the fear, and struggle to walk by faith. My prayer is that these verses are a comfort to them, as they have been to us. 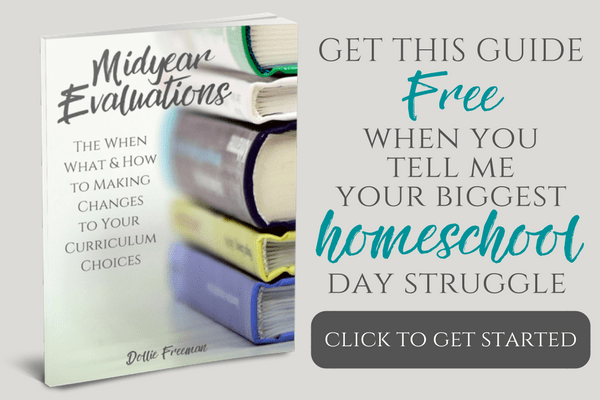 I pray that these resources help you to pass on the legacy of your faith to your children in a way that feels natural and has lasting effects.